Do you have a classic car or hot rod that you’d like to show off? Bring it to the races! 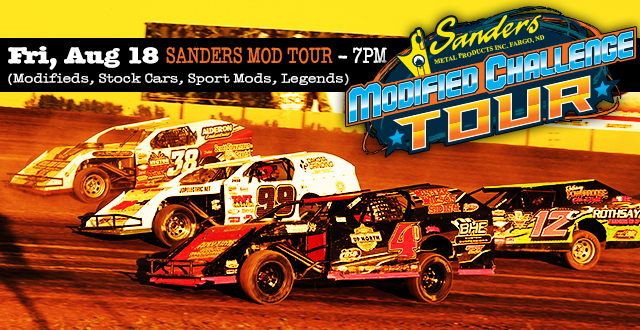 – Setup will be from 4:30pm to 5pm in the Grandstands parking lot. 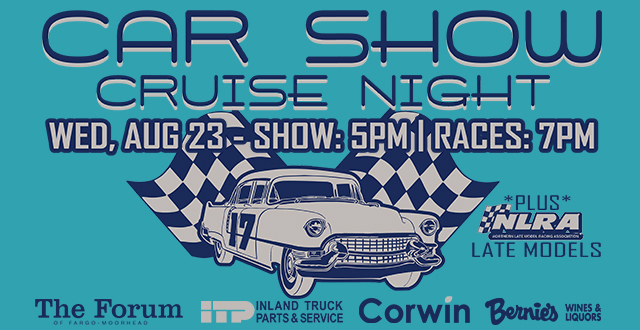 *The NLRA Late Models will headline the night of racing. 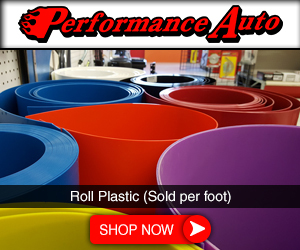 See World of Outlaws Sprint Car champion Donny Schatz wheel his #15 Late Model! 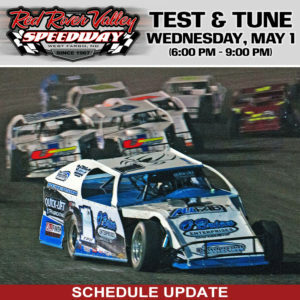 * We will have a meet and greet with NLRA Late Model drivers Donny Schatz, Brad Seng, Dustin Strand, and Cole Schill in Victory Lane from 6:00pm – 6:30pm. Meet the drivers and get autographs! Pre-race coverage begins at 6:45pm. 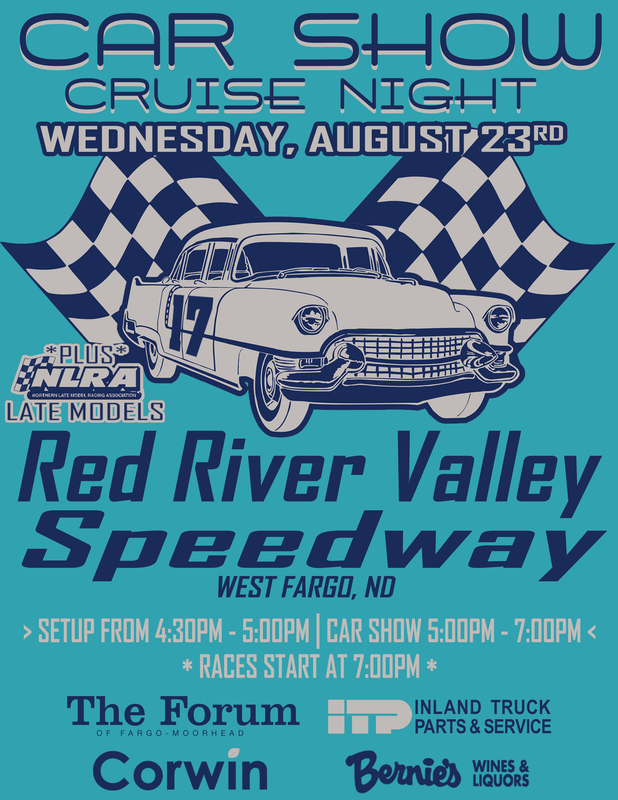 WEST FARGO – Another chapter will be written in the Red River Valley Speedway (RRVS) history books Saturday night as the World of Outlaws Craftsman Sprint Cars make their highly anticipated return to West Fargo. 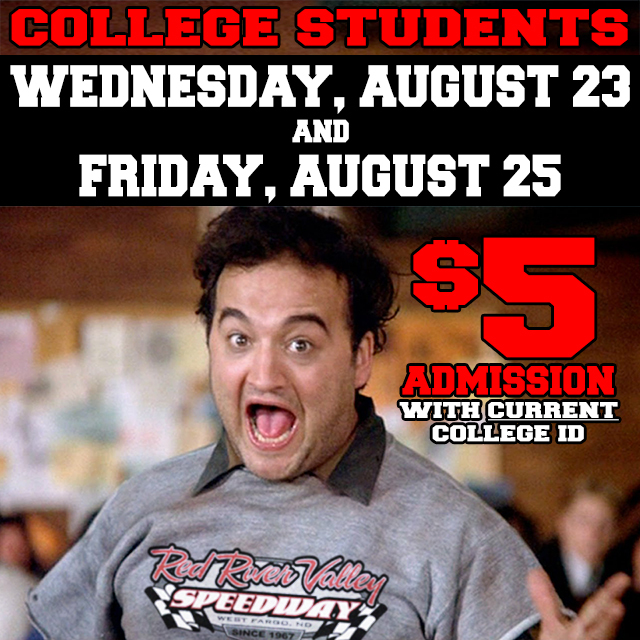 The event, which was originally scheduled for June 17th, but was postponed due to rain, will mark the 31st appearance by the 900+ horsepower winged sprint cars at RRVS. 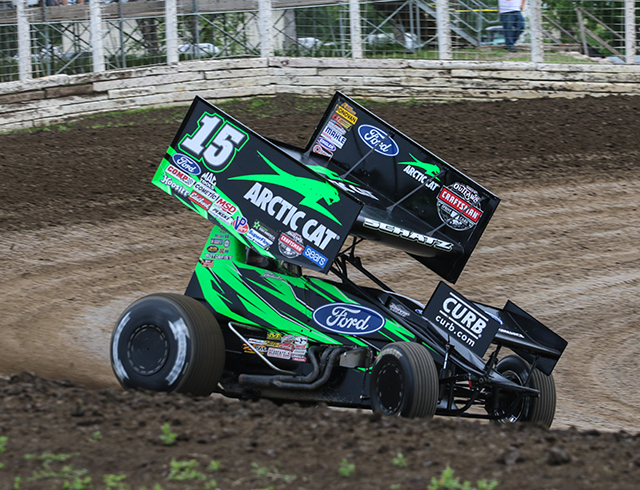 Leading the way is eight-time and defending World of Outlaws champion and Fargo’s own, Donny Schatz. Schatz is riding a wave of momentum this weekend after capturing his 10th Knoxville Nationals title at the famed Knoxville (IA) Raceway last Saturday night. 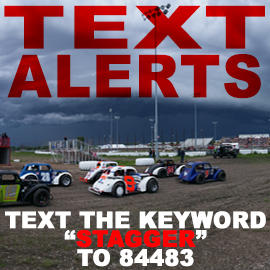 “The Knoxville Nationals are something you look forward to at the beginning of the year. You’re excited about it whether you have or haven’t won it before. It’s what makes or breaks your year. 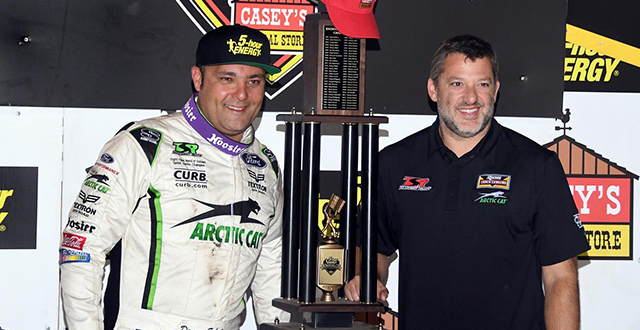 We were able to put ourselves in a position to win it again this year and it means the world to everybody on the team,” said Schatz, who had to fend off NASCAR star Kyle Larson on the final lap to claim the $150,000 victory. “We’re still enjoying (the win), but we are also looking forward to this weekend. With the Outlaws running in Grand Forks, Fargo, and Minot, it’s going to kind of be a dream weekend for me,” he said. Despite living in Minot in his younger days, Schatz still competed weekly at RRVS in the early 1990s and considered the West Fargo clay oval a home track. Schatz quickly saw success in the WISSOTA 360 sprint car division and became a fan favorite in Fargo before he moved up to World of Outlaws ranks in 1997. 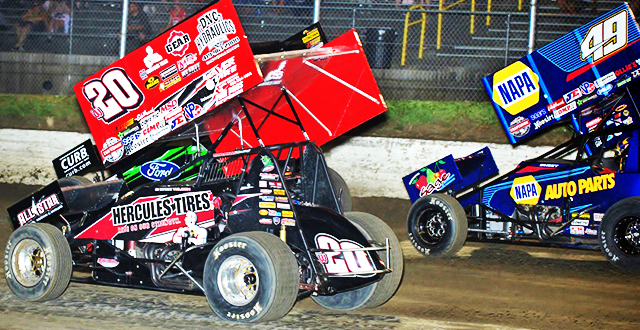 The World of Outlaws have made just one visit to RRVS since the track was reconfigured from a half-mile to a three-eighths mile track in 2010. Since then, Schatz has gotten laps on the smaller racing surface with the All Star Circuit of Champion sprint cars and the NLRA Late Models. Despite all of that on-track experience over the last handful of years, Schatz says the key to being fast is relying on setups that have been working as of late, even if they are for different tracks. 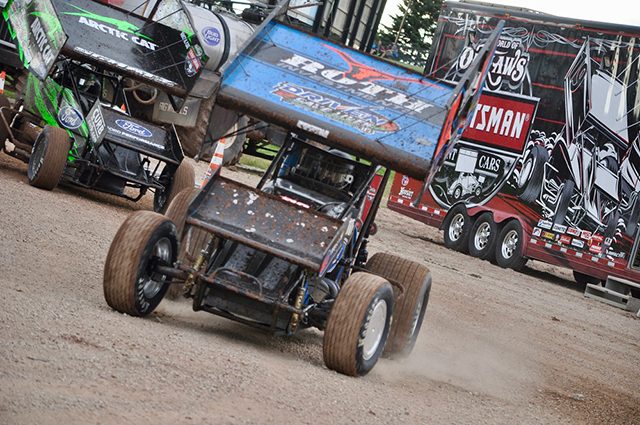 This weekend’s three-race trek through North Dakota is just a small drop in the bucket in comparison to the complete 94-race schedule the World of Outlaws are enduring this season. In his quest for his ninth series championship, Schatz is in good shape thus far with an 82 point lead atop the point standings with 27 races remaining. Twenty-five year old Watertown, Conn. driver, David Gravel, has been the most impressive up-and-comer the World of Outlaws have seen in its youth movement over the last couple of years. Gravel is having a breakout season in 2017, compiling 13 victories to date, which is second-most on the Outlaw tour to Schatz. Gravel also turned heads last weekend at the Knoxville Nationals by completing a “perfect night” on his qualifying night. Gravel was the fastest driver in time trials and won both his heat race and the feature to earn the pole for Saturday night’s championship feature. In doing so, Gravel became the first driver since Steve Kinser in 1992 to accomplish that feat at Knoxville. 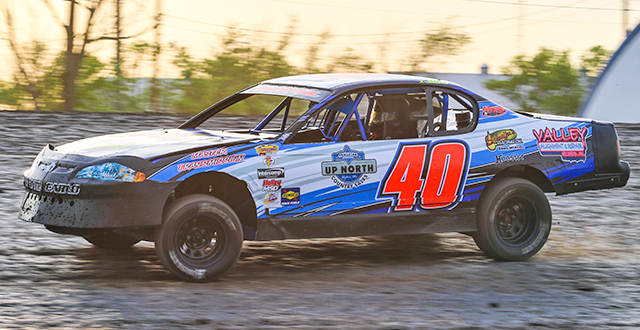 After preliminary action was complete, Gravel was a favorite entering championship night on Saturday. In the first half of the race, Gravel lived up to the expectations as he led the first 22 circuits. However, a mechanical failure forced him to retire from the event early, dashing his hopes of taking the Knoxville title. Gravel will look to rebound this weekend in North Dakota. After winning at River Cities Speedway in June, Gravel will look to pick up the season sweep at the Grand Forks three-tenths mile clay oval in his CJB Motorsports No. 5. 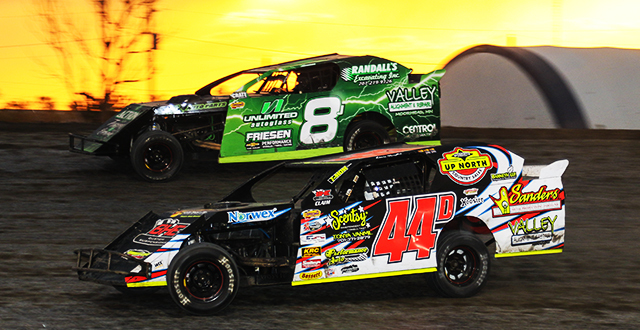 In his three previous starts at Red River Valley Speedway, Gravel has a best finish of third, which came in 2011 with the All Star Circuit of Champions. Like many other drivers in the World of Outlaws field, Gravel hasn’t seen RRVS for several years. He says he looks forward to Saturday because it will be a new track for almost all of the drivers and no one will have a distinct advantage. 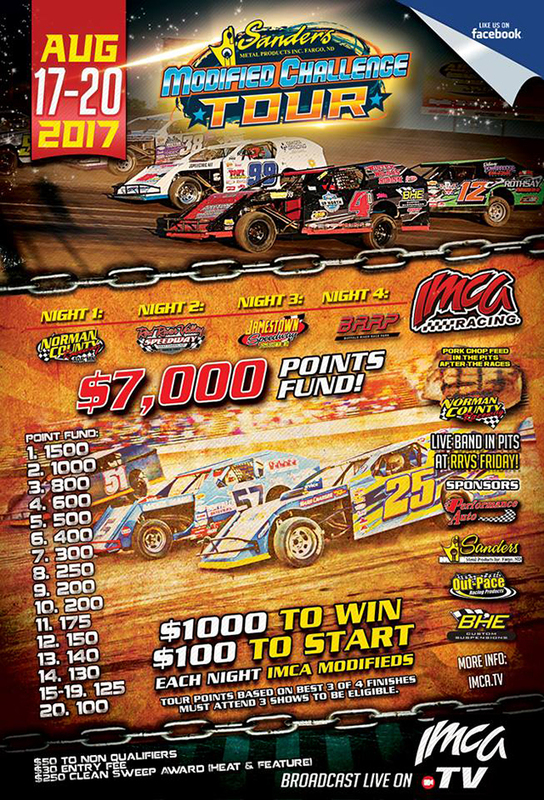 Tickets for Saturday’s “Duel in the Dakotas” event, featuring World of Outlaws Sprint Car Series at RRVS can be purchased online at slspromotions.ticketforce.com or by phone at 815-344-2023. 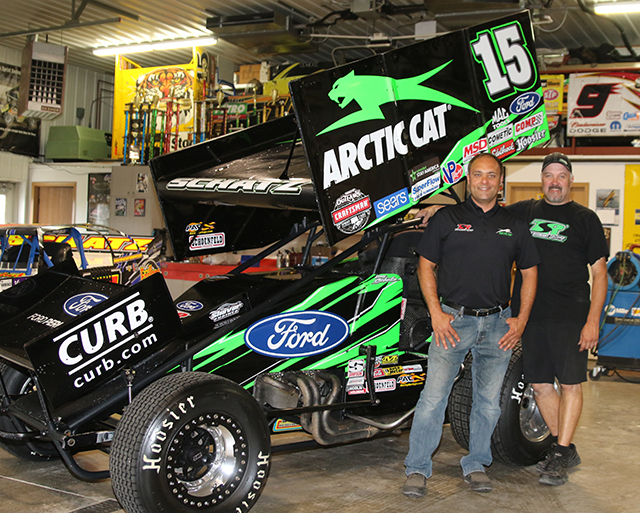 Considered the best duo in sprint car racing, Donny Schatz (left) stands next to his crew chief, Ricky Warner (right). WEST FARGO, N.D. — August 16, 2017 — Jac Haudenschild has raced in more World of Outlaws Craftsman Sprint Car Series main events at Red River Valley Speedway in West Fargo, N.D., than any other driver who is expected to compete with the series at the track this weekend. The Ohio native circled the track for the first time with the Outlaws back in 1986 and has made 38 starts with the series at Red River Valley Speedway in the years following. Haudenschild has a pair of wins in his Hall of Fame career at the track, including in his most recent visit to the now three-eighths-mile in 2012. That victory came with the Arctic Car All Star Circuit of Champions. 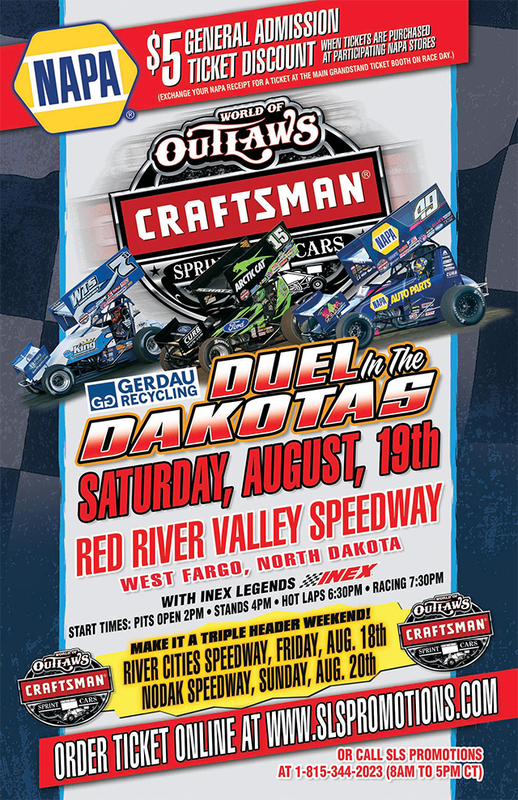 Haudenschild returns to Red River Valley Speedway this weekend with the World of Outlaws Craftsman Sprint Car Series for the Gerdau Recycling Duel in the Dakotas on Saturday, August 19. The event was originally scheduled for June 17 and postponed by inclement weather. 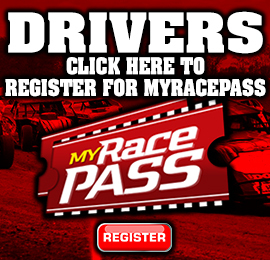 All tickets and pit pass armbands from the originally scheduled date will be honored on Saturday. In his last three starts with the World of Outlaws Craftsman Sprint Car Series at Red River Valley Speedway, Haudenschild has finished on the podium in each and every one. Over the years, the native of Wooster, Ohio has racked up 27 top-10 finishes at the track, the most of any active driver with the series, with 17 of those being top-five performances. The Hall of Famer pilots the No. 17 machine for the Stenhouse Jr. Wood Racing team, which is in their first full season on the road with the World of Outlaws Craftsman Sprint Car Series. Haudenschild climbed behind the wheel for the team near the end of June. In his second start with the team, he suffered a concussion, which kept him out of action for three races. 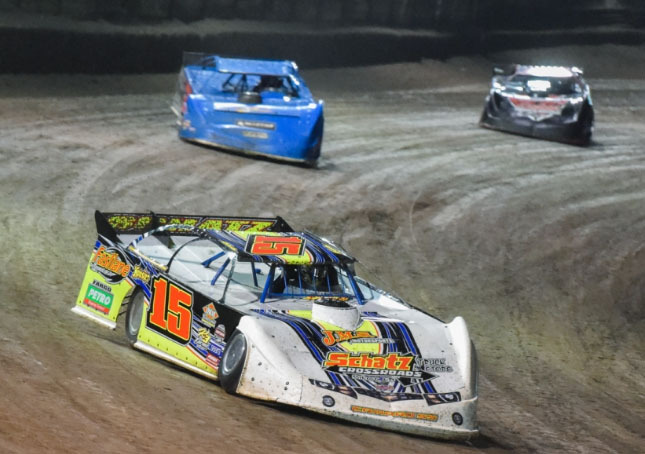 The veteran driver picked up his best finish with the team recently on the opening night of the Ironman 55 weekend at Federated Auto Parts Raceway at I-55 in Missouri, coming home eighth. Haudenschild is paired with veteran crew chief Tyler Swank, who joined the Stenhouse Jr. Wood Racing team prior to this season. 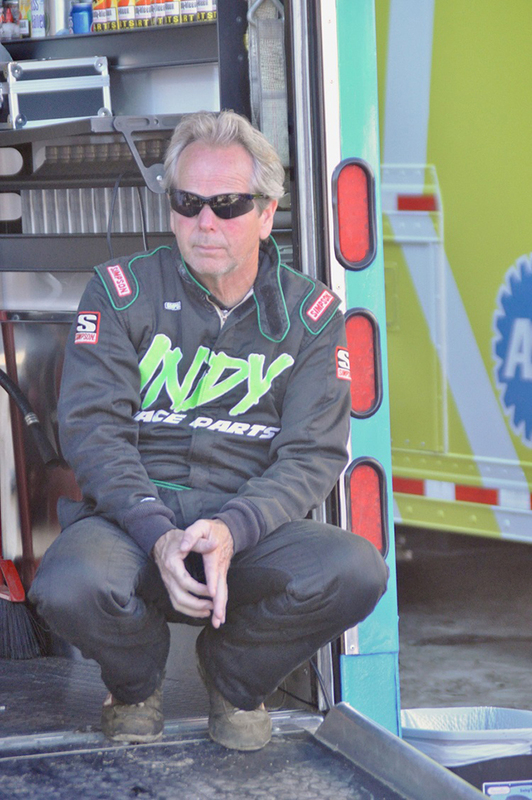 Like Haudenschild, Swank has been on the road for a large portion of his career and has a big notebook to draw from, when it comes to tracks the Outlaws race at. 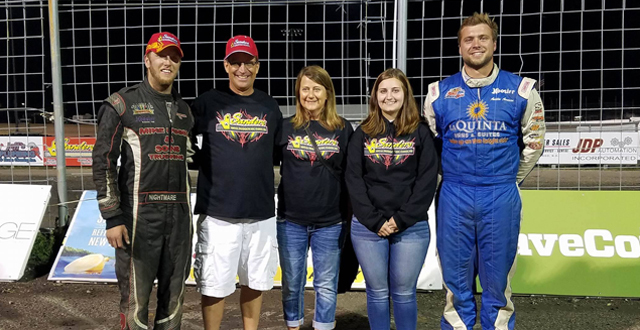 Being back on the road with the World of Outlaws Craftsman Sprint Car Series has afforded Haudenschild the opportunity to race with and against his son, Sheldon, night in and night out. The younger Haudenschild is in the midst of his rookie season with the Outlaws and has been very impressive, recording 25 top-10 finishes to date, with nine of those being top-five runs. S. Haudenschild has also led a number of laps as he closes in on his first-career Outlaws win. The elder Haudenschild has 56 World of Outlaws Craftsman Sprint Car Series wins in his illustrious career, which is 13th on the series all-time win list.